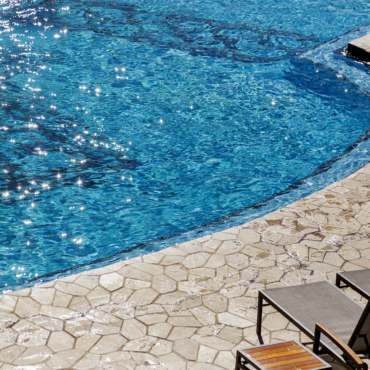 Does your pool have enough chlorine or a lack of it? The two conditions have the same effect except for the odor. The water stings your eyes, attacks your nose, and irritates your skin. We at Pool Services Fort Lauderdale have come across these types of complaints especially involving indoor pools. The pool owner doesn’t know what to do. He’s afraid to add more chlorine to his pool because he feels that the water has more than enough chlorine because of the conditions he felt while using his pool. In conditions such as this, professional help is really important. Our Pool Services Fort Lauderdale experts know about more advanced chlorine tests to gauge what really is the condition of water. Our Pool Services Fort Lauderdale experts have helped a lot of pool owners solve this difficult situation by performing chlorine shock treatment for their pool water. Pool shock treatment is done by adding a large dose of pool water sanitizer, chlorine for one, to destroy the presence of organic water pollutants like ammonia and nitrogen. We do this from time at Pool Services Fort Lauderdale when the situation calls for it. Ammonia is formed as a byproduct of human sweat and urine which are deposited in the water. Ammonia is then isolated from the other components by the action of chemicals which are present in the pool water. Alone ammonia is insignificant, but when it undergoes chemical synthesis with chlorine swimmers’ mistake it for over chlorination. The redness of the eyes and itching of the skin follows. But our Pool Services Fort Lauderdale experts know better. On the other hand, contaminated nitrogen when combined with chlorine forms chloramines. Urine, sweat, body oil, and hair residues are the usual nitrogen contaminants responsible for chloramine’s formation. We know and have ample knowledge at Pool Services Fort Lauderdale concerning several ways to remove chloramines from the from the pool water aside from using the chlorine shock treatment. Some of these methods are also very effective while others may not. Our Pool Services Fort Lauderdale experts are picky when it comes to the techniques that we use. One of these is using medium pressure UV light which is highly efficient at removing chloramines and the accompanying odor with it. Potassium mono-per sulfate is also used in lieu of chlorine, but this is an expensive alternative. We don’t use this at Pool Services Fort Lauderdale because aside from its cost, it does not completely clear the pool of chloramines contamination, unlike chlorine. Draining the water completely and refilling with filtered water is another expensive alternative which is not necessary at all. Our Pool Services Fort Lauderdale experts seldom suggest this only when there’s a massive algae contamination and when shock treatment has no effect at all anymore is this absolutely necessary. Call us at Tropics Pool and Spa if you need our Pool Services Fort Lauderdale experts to solve any kind of problem involving your pool.